Bodies found in weird places will make you even jumpier about turning a dark corner late at night, now that you know there's a chance you could run into a robber and/or a corpse. These people who perished under odd circumstances and took awhile to find are thankfully the exceptions rather than the norm, but there are still plenty of corpses found in weird places on this list. What are the weirdest places bodies have been found? From a woman found in her cubicle after over a day, to a passed baby shark being found in a bathroom stall, to even someone being found in an elevator shaft frozen in ice, these are the 17 strangest stories of this sort. A woman's body was discovered in an elevator in Xi’an, China after she apparently starved until she was no longer alive. Workers found the body, which had been trapped in the elevator for more than a month, when they returned to work at the building after the Chinese New Year. They were supposed to have checked the elevators before taking them out of service before the holiday, but authorities said the workers neglected to perform a visual inspection. Twenty-two-year-old Lauren Moss was first reported missing in November 2015, but she wasn't found until the following February. For months, Moss' body sat in her parked car in the parking lot of a Walmart in Salinas, California. Police suspected that she ended her own life, and surveillance cameras noted that the car had been in the lot since December. 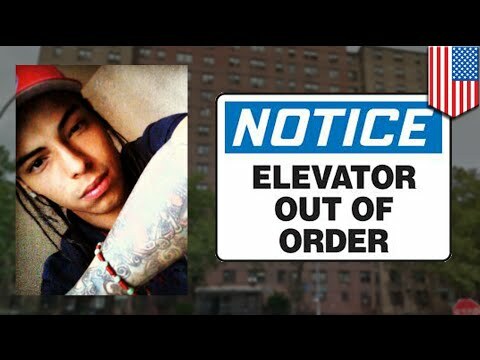 In July 2014, 20-year-old Tito Morales was discovered between the 18th and 19th floors of the building he was living in in the Bronx. Police don't know for sure how he got there, but pronounced him as someone who had perished after they were able to pull him out. Possibly the grossest instance of finding a corpse in a weird place, Canadian tourist and University of British Columbia student Elisa Lam was found floating in one of four water cisterns situated on top of the Cecil Hotel in Downtown Los Angeles. This was not a situation of her falling in one night and being found the next day; Lam was left decomposing in the tank — which provided water for bathing and drinking to the residents of the hotel — for as many as 19 days. Patrons of the budget hotel had reported that water pressure was almost non-existent and that the water coming from the taps had an off taste to it, but it was over two weeks before anyone from the maintenance staff of the building investigated the cause of the issues.